For a detailed curriculum vitae, please contact Kevin Zanni. Kevin M. Zanni is a managing director with Willamette Management Associates. In addition to his work on all types of valuation and forensic analysis engagements for the firm, he is also the leader of our transaction opinion services practice. His practice includes valuation consulting, economic damages analysis, and financial advisory services. Kevin has performed the following types of valuation and economic analysis assignments: merger and acquisition valuations, economic event analyses, divestiture valuations, private inurement opinions, business and stock valuations, economic damages analyses, option and warrant valuations, income producing property valuations, intangible asset impairment analyses, and restricted stock valuations. 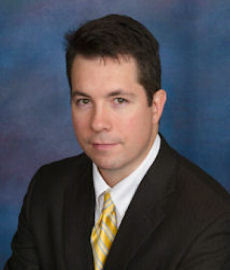 He has prepared these valuation analyses for the following purposes: taxation (ad valorem, federal income, gift, and estate), transaction due diligence (acquisition, divestiture, and reorganization), financial accounting and reporting, forensic analysis and dispute resolution (dissenting shareholder disputes, breach of contract lost profits, and family law), fiduciary compliance, and corporate planning. Kevin has valued the following types of business entities and securities: closely held business enterprises, fractional business interests, various classes of common/preferred stock, interest- bearing debt issues, intangible assets, general and limited partnership interests, and limited liability company interests. Kevin has prepared business valuations, economic analyses, and financial advisory opinions for companies in the following industries: advertising, agriculture, aerospace parts manufacturer, airport management services, apparel manufacturer, arcade game manufacturer and distributor, auto parts distribution, automobile dealerships, boat and yacht retailer, book publishing, chemical manufacturing, commercial banking, commercial construction, commercial real estate holding and management, consumer products, commercial gaming, direct marketing, engineering services, electronic equipment manufacturing, equipment leasing, food brokerage and distribution, food processing, furniture and household product manufacturing and retailing, marine and repair services, medical practices (cardiology, optical, and general), medical research institutions, hardware distribution, home improvement product retailing and manufacturing, hospitality and resort operators, investment holdings, investment management and brokerage, film production and distribution, mattress and bedding manufacturing, metal fabrication, multi-family real estate and equity holding and management, oil and gas services, oil and gas exploration, pinball manufacturer, polymer manufacturer, printing and publishing, real estate development and brokerage, retail sporting goods, roadway contracting and construction, securities and brokerage, sign and advertisement manufacturing, specialty packaging, sports network operators, steel distribution, strip-mining excavation, sugar production and marketing, textile manufacturing, tool and die manufacturing and services, transportation and trucking, and utility operations. Prior to joining Willamette Management Associates, Kevin managed a valuation department for a Chicago CPA firm. In this capacity, he specialized in performing valuation, forensic analyses, and audit support services. Prior to that, Kevin performed valuation and forensic analysis services for a Miami CPA firm. Kevin proudly served in the U.S. Army prior to his valuation consulting and economic analysis career.